Detectives have identified Tevin Taylor, a 23 year old man, as the second suspect who fled from the suspect vehicle after the fatal traffic collision on April 24, 2014 at West Lane and West Lane Frontage Road. 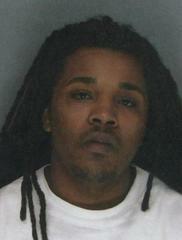 Tevin Taylor is wanted for robbery and homicide. He is described as 5’08” and 180 lbs. The driver, Brittney Tamayo, is currently in custody. the Investigations Unit at (209) 937-8323, or Crime Stoppers at (209) 946-0600. Callers can remain anonymous. ‘Submit A Tip’. Tipsters may also send tips on the Stockton PD Mobile Phone App. If you have any information that may lead to an arrest contact Crime Stoppers. Crime Stoppers pays cash rewards up to $10,000.